Blackstar has been providing superb executive transportation in the beautiful Pacific Northwest since 2002 and was Incorporated in 2010. 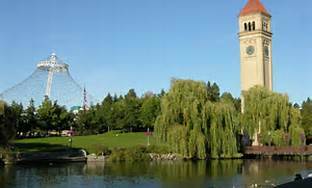 We are based in the Lilac city of Spokane, WA and affiliated with many well know transportation companies throughout the US and Canada. We do not strive to be the biggest executive transportation company, only the best. Blackstar has the capability to transport anyone, anytime and anywhere from 1-55 passengers in the US and Canada. Blackstar’s owner goes over every trip personally to insure our customers and vendors receive the proper vehicle and the excellent service they so richly deserve.